When installing fonts may encounter the same file name, please replace the old font files. This font styles including crown, stars. 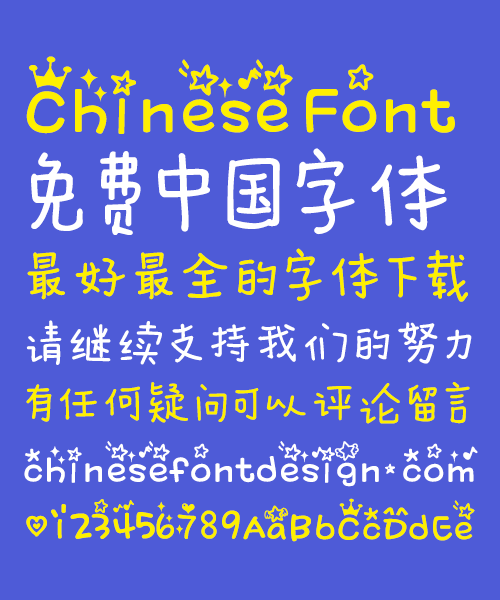 Chinese font style of handwriting styles. Only the letters have star pattern decoration.